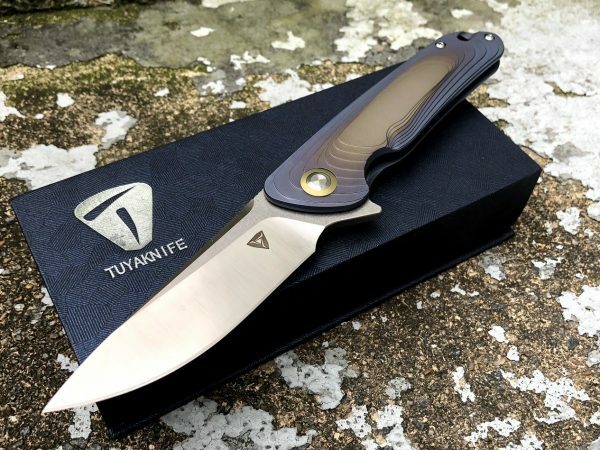 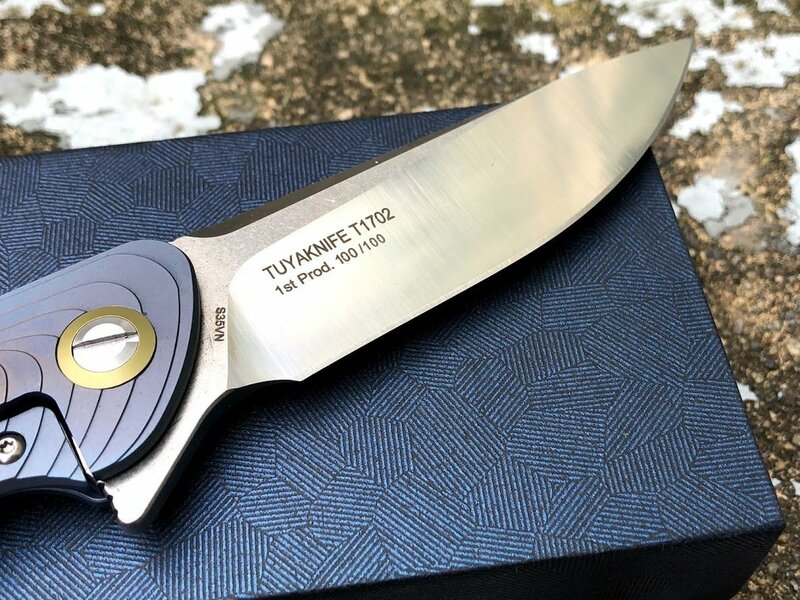 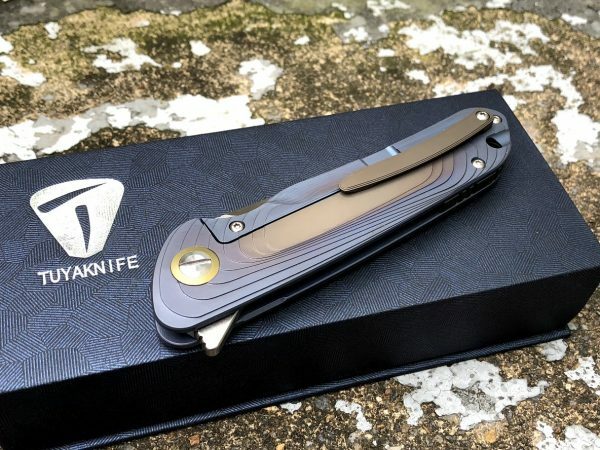 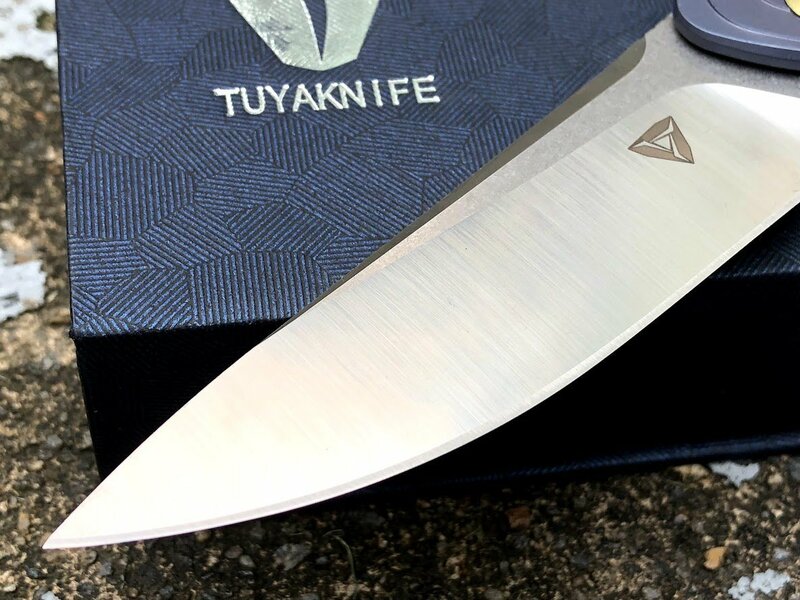 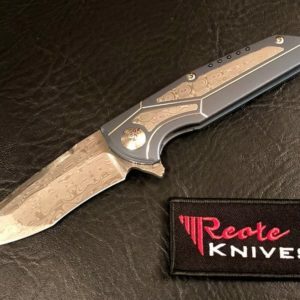 Here is the Tuyaknife Argon. 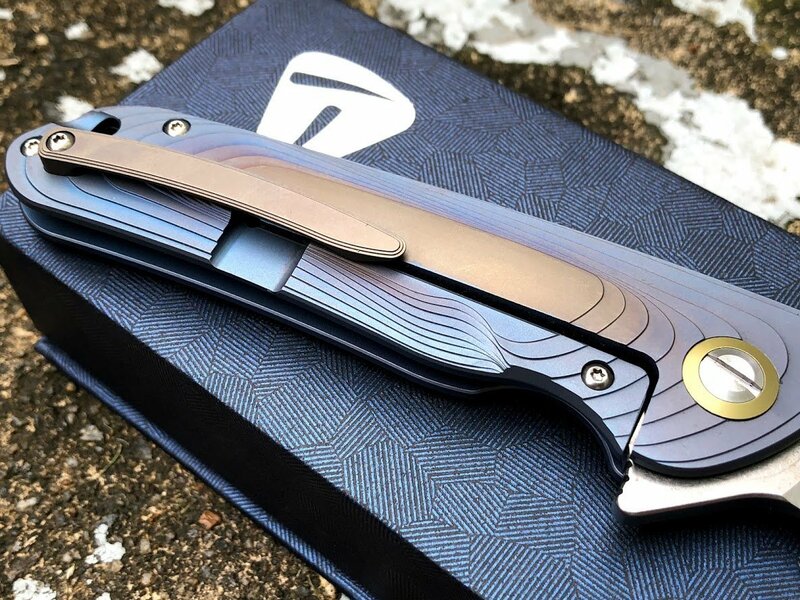 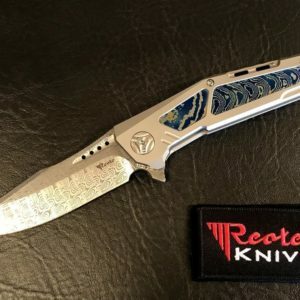 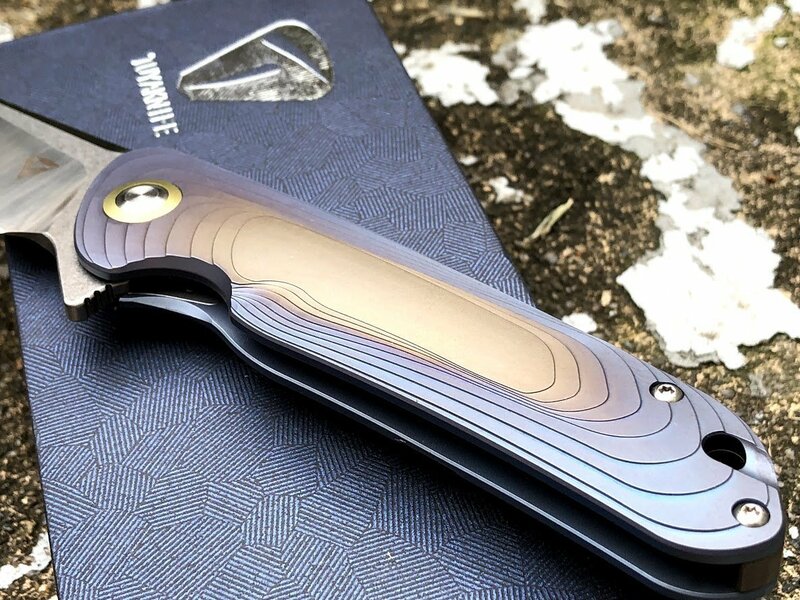 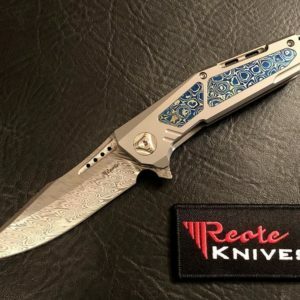 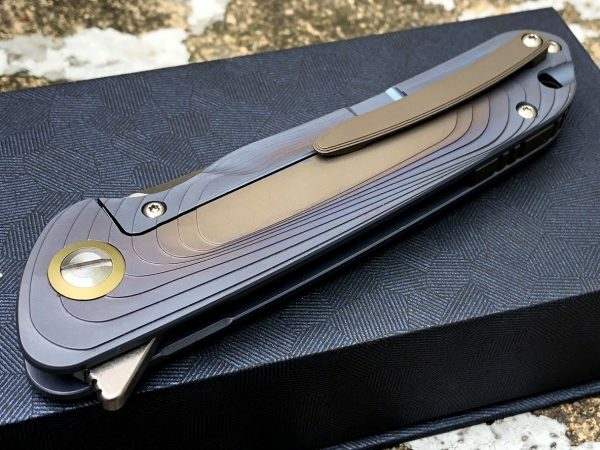 A frame lock flipper with anodized stepped titanium handle scales. 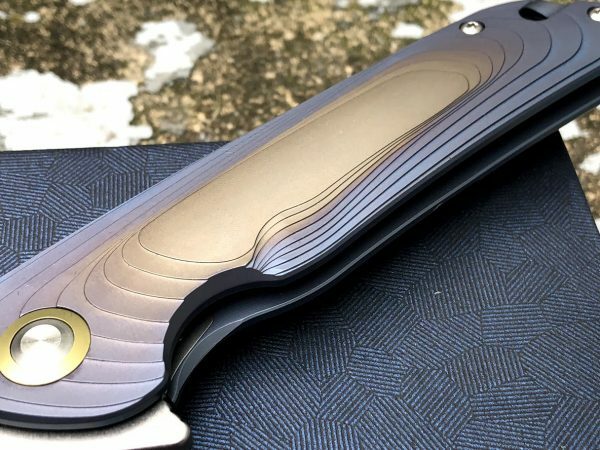 The back spacer and clip are also titanium. 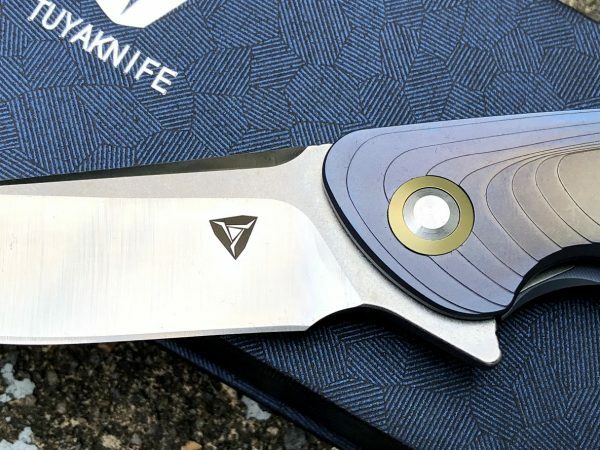 The CPM-S35VN blade rides on ceramic ball bearings. The titanium frame lock bar has a steel lock bar insert for solid lock up. Comes in a magnetic box with cleaning cloth.